Shirts With Random Triangles: Nick Marshall is an ex-SEC Media Days attendee. 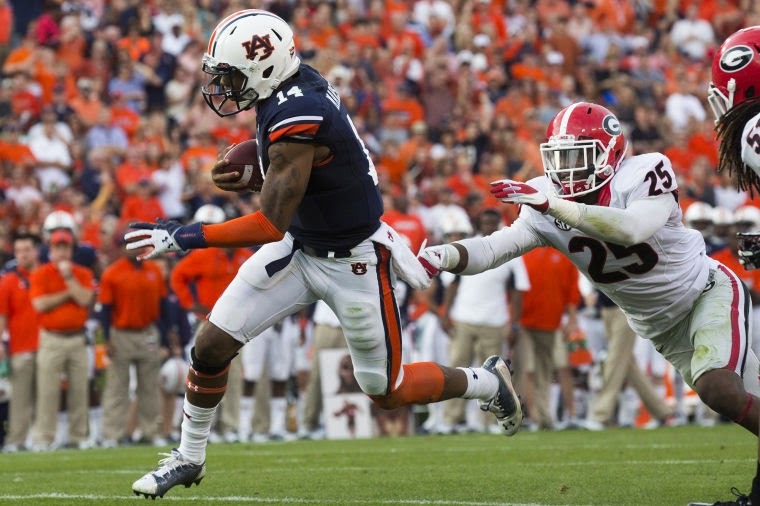 Auburn has announced that starting quarterback Nick Marshall will not be representing the school at SEC Media Days. This follows Marshall receiving a citation for marijuana possession on July 11. Marshall was scheduled to be one of three Auburn players to represent the school during its Monday session at SEC Media Days in Hoover, Al. He has been replaced by tight end C.J. Uzomah. Auburn center Reese Dismukes and defensive lineman Gabe Wright are still scheduled to epresent the school at the event, along with the Tigers' head coach Gus Malzahn. Marshall was cited for "possession of less than one ounce of marijuana" during a traffic stop in Reynolds, Ga. on Friday.